Hanna Sokolova is an Ukrainian freelance journalist working on human rights. She has previously worked for MediaPort news agency, as well as Ukrainska Pravda, Current Time, Focus and Left Bank. 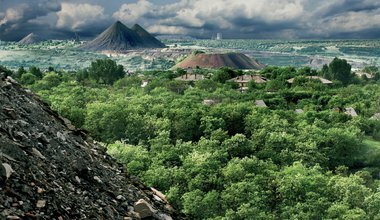 In Ukraine’s once proud mining region of Donbas, war, mismanagement and a stretched economy are combining to create an environmental catastrophe in the coal mining industry.